Have you thought of starting a new career as a lorry driver? Love driving and the freedom of the open road? Below we talk about the process and requirements to becoming an HGV driver and how to keep your HGV license. To start with you need to be 18 or over and have a valid UK drivers licence. If you dont have a valid UK drivers licence then you will need to get your licence transferred over to the UK. The United Kingdom is always short of lorry drivers so there is certainly no shortage of work out there but you will have to work hard as driving the roads of the UK isn’t for the faint hearted or people who are work shy. It is hard work but as you are already aware there is a feeling of freedom on the roads unlike any other profession. Desk jobs don’t suit everyone and that is why lorry driving just might be the answer to your future happiness. Invest in your future and learn to drive in the UK. The UK is often short of drivers and post Brexit a further could well be short of 45,000 drivers so as you can see there is plenty of work available and competition for those positions will be low. How much can you earn being a lorry driver? Currently HGV drivers salaries vary from £28,000 to £45,000 per year, this of course depends on the type of vehicle your driving and cargo you might be carrying. There are only so many hours you can work and your hours will be closely monitored and must be adhered to. There is a legal limit of 9 hours driving per day with a further requirement to take a 45 minute break every 4.5 hours of driving. We know this all might be confusing but your schedule will be worked out in your work schedule. Just stick to the times your company have given you and keep notes of hours you have driven and rested. Read about working hours in more detail here. Start to finish you will complete the process in 8-10 weeks with the practical training taking only 5 days. Driver Training Centre if you were not already aware have excellent pass rates well above the national average and we are NOT BROKERS so our classrooms and training is not overstuffed and you really do get that 1 to 1 training that many say they offer but in reality you don’t get. With the right company HGV training is fast and affordable. 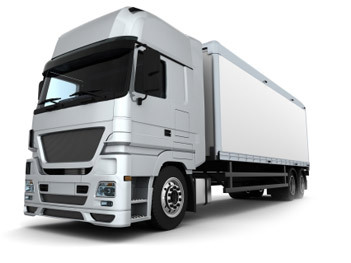 What sort of HGV license should you apply for? This depends on what sort of vehicle you are thinking of driving. There are a few categories and we will explain them below. The categories are based on vehicle weight and additional weight they can tow when trailers are attached. 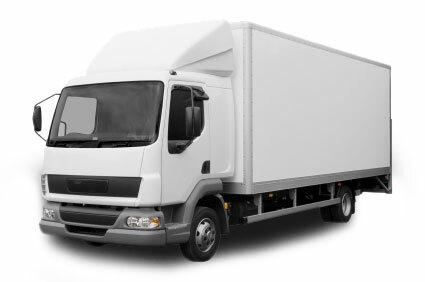 Category C1 is for light goods vehicles between 3.5 and 7.5 tonnes. Comfortable easy to drive Mercedes ‘Atego’ 18 tonne Trucks with 6 speed gearboxes make the whole training experience very enjoyable. Upgrade your category C licence to C+E. – No further theory tests required. Here are the simple steps to be taken. Each driver must pass a medical exam as part of their training program. This is to be sure you do not have existing medical conditions that prevent you driving a vehicle safely. You will undertake a brief medical exam and a short conversation with a doctor. Any doctor can conduct this test and they will need to complete your DVLA form. We can also book you in as a priority and offer medicals at a great reduction. Be aware you can pay as much as £130 we currently offer medicals at £50 ( price given 9th Oct 2018 ) prices may now vary. Your theory test is like when you learnt to drive a car. Tests take the form of multiple choice at a test centre. We will have run you through some mock tests by the time you take your actual test. 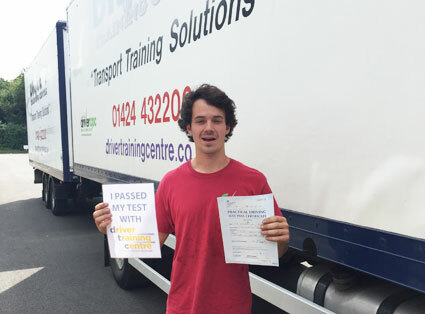 We provide you with all the resources and training you will need to pass your test. As mentioned before we have excellent pass rates well above the national average. Once the theory test is out of the way and you have received your results you get to jump in one of our training vehicles and start your practical training with a DVSA certified instructor. Practical training can take anything from 4 to 20 hours depending on your requirements, including your Driver CPC training.